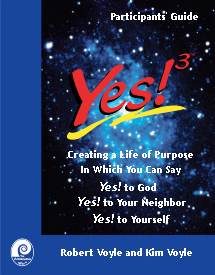 An incarnational ministry based in Appreciative Inquiry to discover and call forth the life-giving best from a congregation. 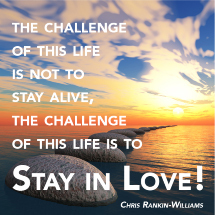 Can be used for transition between clergy leaders. Or transitions that arise as a consequence of strategic planning and intentional organization development. No Appreciative Transitional Ministry workshops are scheduled at this time. Appreciative Inquiry teaches: "What we focus on becomes our reality". 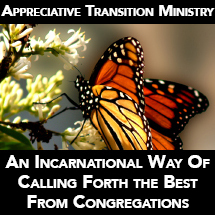 Appreciative Transitional Ministry pays particular attention to what the Interim "aims" for during the transitional time. The Minister can focus on the problems the congregation was having in their last ministry or they can "aim" for the life-giving realities in the congregation and consider how they can be developed to create the congregation's future. The appreciative approach contrasts many contemporary organizational interventions that utilize an illness model to focus on and eliminate problems. While well intentioned these problem focussed approaches often lead to increasing cycles of negativity and frustration rather than the hoped for congregational transformation. While positive in focus the appreciative approach does not avoid problems during the interim time. Rather the appreciative way looks to what is working and creatively expanding those activities to motivate and inspire transformational solutions. Rather than relying on a "one size fits all" formula for transitional times the Appreciative Way provides an incarnational way of joining with a congregation to develop a unique ministry for each ministry setting. It is about aiming for and discovering "what in God's name is going on in a congregation" and then growing these Godly realities to co-creating with God the congregation's future. 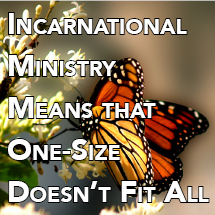 Historically ministry during the time between senior pastors was called Interim Ministry. The current approach is to call this Transitional Ministry. This change in name also indicates a change in the scope of understanding transitions. Since any change, and not just the change in pastor, will result in change dynamics all clergy whether "settled pastors" or "interim" need to understand the process of facilitating change. This five day intensive is broken into two segments. 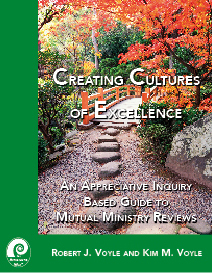 The first half is devoted to learning the philosophy and process of Appreciative Inquiry which provides the foundation of Appreciative Transitional Ministry. 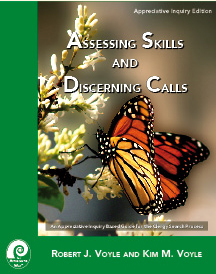 The second half of the training is devoted to presenting the incarnational model of Appreciative Transitional Ministry and strategies for joining a congregation and working with the parish dynamics to co-create preferred outcomes. Participants may complete these two segments separately at differing locations provided that the AI portion precedes the interim ministry training. 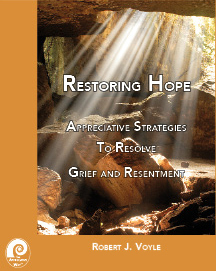 Please see Introduction to Appreciative Transitional Ministry for more details of the program. Weekly telephone based conference calls with a maximum of 8 people are scheduled at several times during the week to enable participants to receive "just-in-time" consultation as they engage in interim ministry. Prior to the second intensive participants will complete an online 360 degree leadership assessment, the results of which will be discussed during the second intensive. A typical AIM training schedule is as follows. Sessions include didactic presentations, personal reflection, Bible study and the daily offices from the Episcopal tradition. 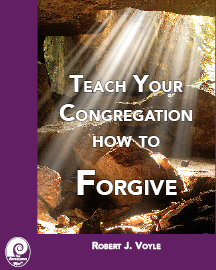 Rob Voyle is an ordained Episcopal priest, psychologist, and coach. He is the Director of the Clergy Leadership Institute. Rob's parish ministry of over 20 years was primarily in the field of Interim Ministry. He is the organizer of the Transitional Ministry Network and is a past coordinator of the National Association of Episcopal Interim Ministry Specialists. Rob is the originator of AIM which is the result of his twenty years of experience in interim ministry and organizational consultation. Specific costs may vary depending on the hosting organization and the location. The registration page will have the specific prices for each schedule event.